DoubleTree by Hilton Gatineau-Ottawa is the place for urban resort accommodations, with a convention center of 21,000 square feet of meeting rooms, spa Studio 157 and one of the finest golf courses in Outaouais, all just 8 minutes from Ottawa. 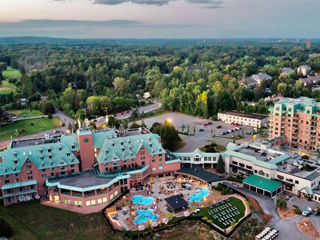 Overlooking a large 152-acre estate that borders the Ottawa River, DoubleTree by Hilton Gatineau-Ottawa has all the charms of a resort hotel, with all the advantages of a city hotel. The on-site restaurants Bistronome and Ferme Rouge offers a varied menu day and evening. 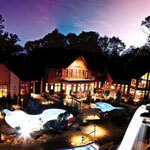 The heated salt water pool, the fitness center and the whirlpool bath will help you to relax after a busy day. 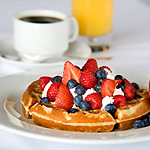 DoubleTree by Hilton Gatineau-Ottawa, where the details make all the difference.